The meaning of our names. David - A brave and loving person. 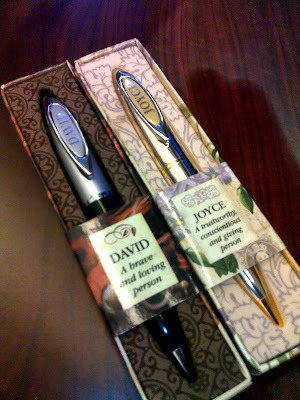 Joyce - A trustworthy, conscientious, and giving person.